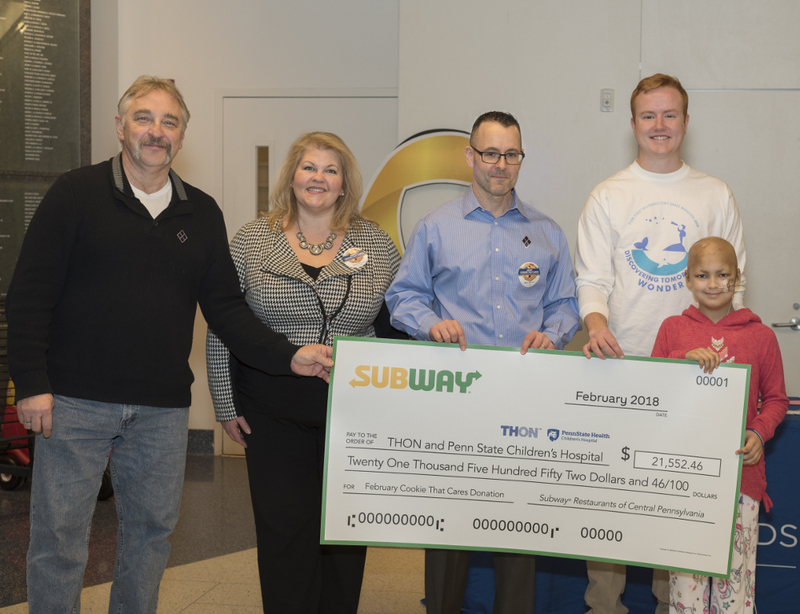 Representatives of central Pennsylvania Subway restaurants recently presented a check for $21,552 to THON as part of its February Cookie That Cares promotion. 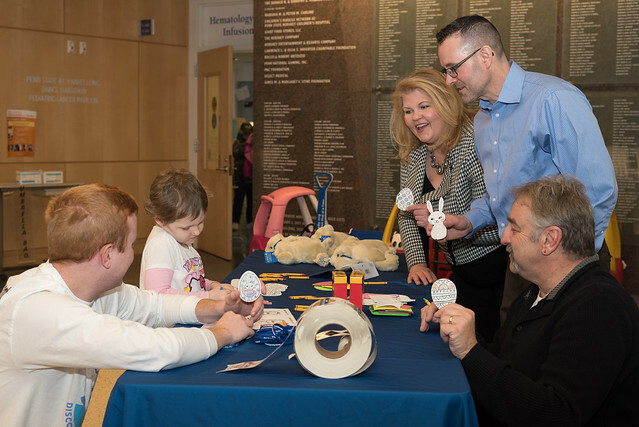 Mike Dengler and Bob Rogers of Subway presented the check to THON 2018 Executive Director Andrew Smith, Four Diamonds Executive Director Suzanne Graney and Four Diamonds children in the lobby of Penn State Children&apos;s Hospital. The promotion ran throughout February. A percentage of every Rainbow Gem cookie sold during this time went toward THON and Penn State Children&apos;s Hospital. This was the fifth time that the central Pennsylvania Subway restaurants ran the Cookie That Cares promotion to raise money and awareness for THON. During the months of February and September in 2016 and 2017, the region&apos;s nearly 300 Subway restaurants raised a total of $132,338 for THON.